The Retreat at North Bluff project consisted of surveying, civil engineering design, and permitting for the development of a 240 unit multi-family development on 10.82 acres. Design included civil/site work for 10 three story apartment buildings, and amenity center, parking facility (390 parking spaces), parking garages, a swimming pool, and a dog park. The development was located on 4 lots that were zoned MF-2 with conditional overlays and was also within the Briarcrest Neighborhood Plan. The Project address is 6212 Crow Lane. 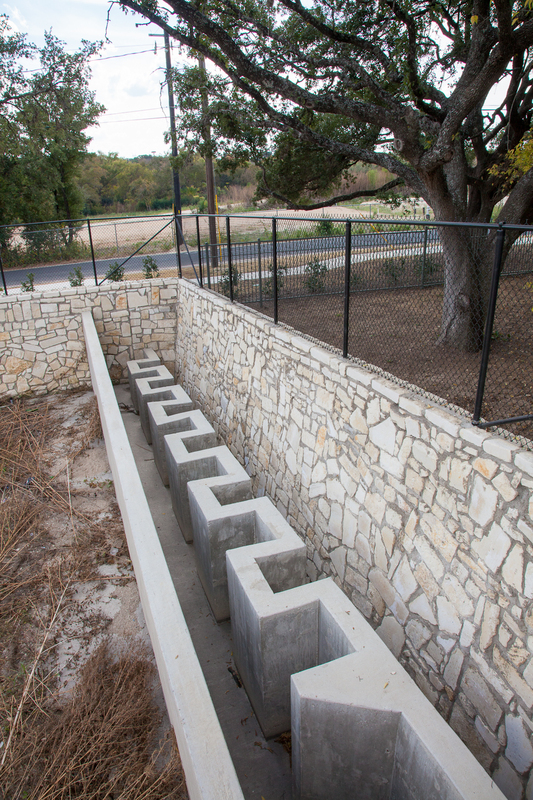 The project was located in the Williamson Creek Watershed within the City of Austin. The on-site infrastructure and grading improvements to support the development was designed to satisfy local, state, and federal requirements. The project was financed as a smart housing project that teamed with the federal housing administration via the U.S. Department of Housing and Urban Development. 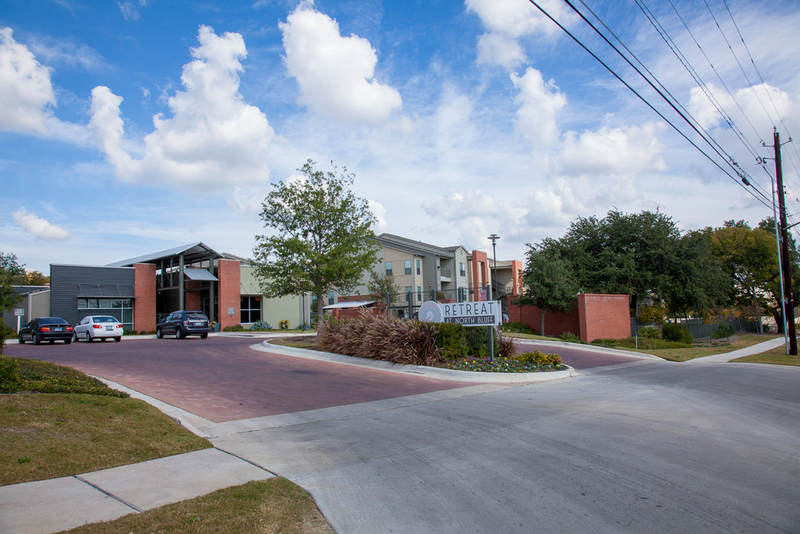 The project at the time was deemed the one of the largest HUD 221 (d) (4) projects in Austin. The development was developed as a 2-star Green rating. Challenges in design included the 4 as-built changes in design during construction while coordinating and maintaining construction schedules and meeting federal and local guidelines for project reimbursement. This involved changing the main drive access to the development from Little Texas Drive to North Bluff. Another challenge was changing the on-site drainage facility vertical walls to a staggered stacked rock wall facility as a result of the contractor’s value engineering. 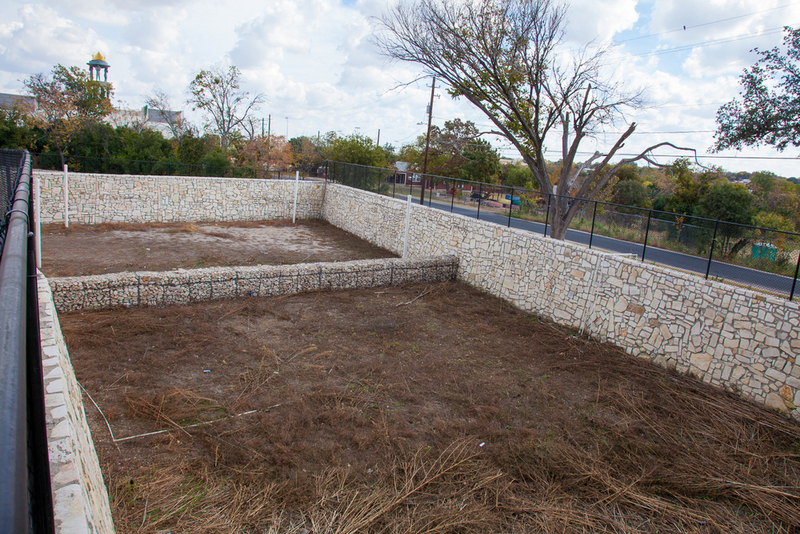 The pond was re-analyzed and coordinated with the construction structural engineer and the City of Austin public works. We also solved an open space requirement shortcoming based on the architects unit make –up. The site was short on open space per the MF-2 zoning classification. This was solved via a City of Austin code section for smart housing developments.